Most serious marine aquarists have a water mixing station. 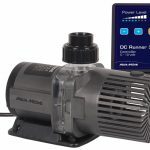 Even though we live in an age of nearly endless aquarium filtration options, water changes still rank as one of the best aquarium maintenance practices. They remove compounds like nitrate and phosphate, dilute waste, and replenish trace elements absorbed by corals. Water changes are a key strategy for keeping a healthy marine aquarium. 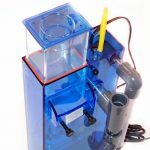 Water mixing stations make performing water changes easier and more convenient, while giving the aquarist the opportunity to have fresh saltwater on hand at all times. 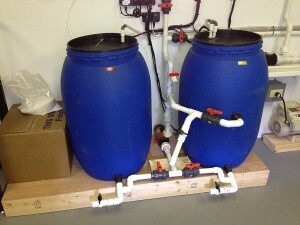 While water mixing stations are a great help when keeping a marine aquarium, they can also become a hotbed for disease. 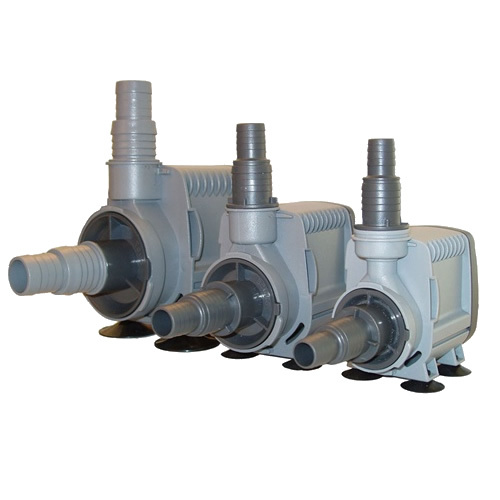 Often, the same utility pumps are used to move water from mixing stations into the tank, and the tools we use to help mix water (pitchers, powerheads, etc) have been exposed to both fresh saltwater and our aquarium’s water. 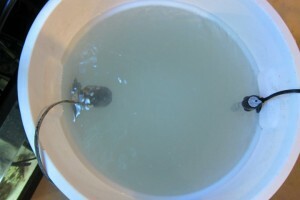 Unless an aquarist is uber-vigilant in making sure pumps, water vats, and other maintenance necessities never mix, it’s quite possible that a water mixing station can also become a parasite and bacteria farm.Contamination: Water mixing usually goes something like this: RODI water is created, and then collected in a 32 gallon brute trashcan. Some of this water will be used to replenish that lost to evaporation, and the majority will be pumped into another vat, where it is heated and brought to appropriate salinity. In that period of time, it’s very possible that the aquarist can contaminate the newly mixed saltwater. 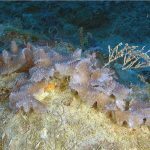 They may dip a coral, using a pitcher to remove 1 gallon of water from the aquarium, then use the same pitcher to replenish that with a gallon of fresh saltwater from the mixing vat. If there is a parasite in the main aquarium, this is an opportunity for contamination. Often when a parasitic outbreak occurs, aquarists are in a rush to create freshwater, mix saltwater, and move all infected species to a hospital tank. 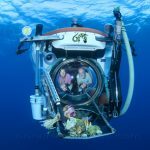 If you have a large reef, this can be especially chaotic as fish are removed, hospital tanks are set up, and treatments administered. Some aquarists opt for treatment with hypo-salinity, which means more chaos as it can take large amounts of freshwater to bring a marine tank into complete hypo-salinity. The point is simple; if you’ve ever had a parasitic outbreak, there is a chance that your water mixing station has become contaminated. Parasites can survive on wet nets and inside wet pitchers, and some reports even suggest they can be transmitted via an aquarist’s wet hands. 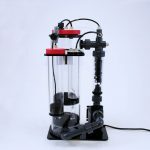 It’s likely that as the parasite treatment became effective, and the fishes’ condition improved, the aquarist will forget about the multiple avenues in which their water mixing station got infected. I’m not suggesting that failure to have strict procedures to prevent such contamination is shoddy aquarium management, it’s impossible to account for everything, but it is possible that this has happened to aquarists and is the root cause of multiple parasitic outbreaks. Within a saltwater mixing vat a parasitic population has grown, which is introduced in limited numbers to the display tank, until eventually it triggers an outbreak. Some important factors: The container that collects fresh RODI water is usually pretty safe from contamination. The vast majority of marine parasites, and even marine bacteria, cannot survive in freshwater. Even parasites like marine velvet, which are known to tolerate low salinities, could never adjust to living in pure freshwater. So it’s most likely that any parasite that made its way into your RODI vat would be dead pretty quickly. 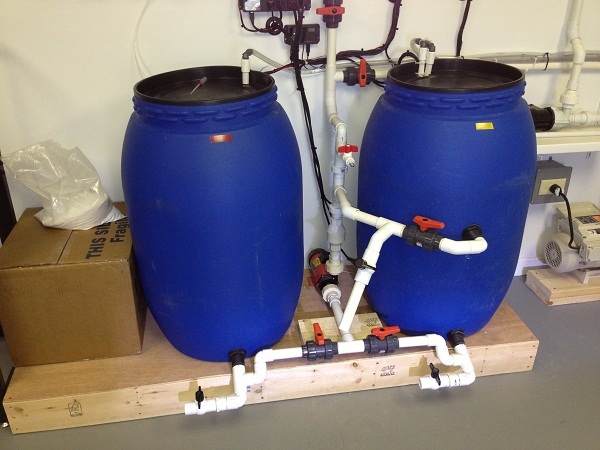 If your saltwater mixing vat is entirely flushed of marine water, and re-filled with freshwater at regular intervals, it’s unlikely that you have too much to worry about. However, if you’re like me, your saltwater mixing vat is primarily filled with saltwater all the time, and we have reason to be concerned. While there are no fish for a parasite to feed on, it’s quite possible a population of parasites could survive, just via transmission from the mixing vat to the display tank. I’ve talked to many aquarists who have experienced repeated outbreaks of the same parasite. Fish get well and are given 45 days to recover under treatment, but when they are returned to the display tank, suddenly the outbreak starts all over again. There could be multiple root causes for this. One is that the aquarist didn’t run the display tank fallow, or that some seemingly uninfected fish remained in the display and spread the infection among the population. Another is that their saltwater mixing vat may still harbor the parasite, which is then re-introduced to the display during each water change. A simple solution: I would rank mixing station contamination low on the list of possible parasite contributors, but I think it’s worth at least acknowledging. 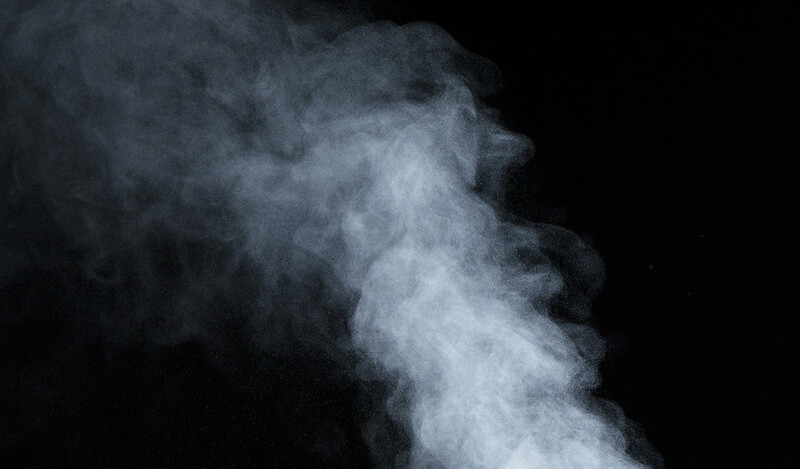 Luckily, there is a simple solution, just one additional step in creating marine water, which can ensure mixing vat contamination doesn’t happen. Marine parasites cannot survive extraordinarily high temperatures. We’ve read that increasing water temperature to 83-86 degrees can shorten the life cycle of marine ich. Since the majority of contamination concerns exist within the saltwater mixing vat, why not consider a short temperature rise to eradicate any parasites that could be harbored there? While 88 degrees is very warm, and enough to shorten a parasite’s life cycle, I recommend something with a little more kick, a water temperature of 140 degrees for several days. Accomplishing this is easy, it requires a titanium heater without a controller and an external digital thermometer. Most temperature controllers don’t allow for water temperatures beyond 90 degrees, but by plugging a controller-less heater in, you get the full heating wattage of that heater, under manual control. With the heater plugged in, you simply monitor your temperature until it reaches about 150 degrees. 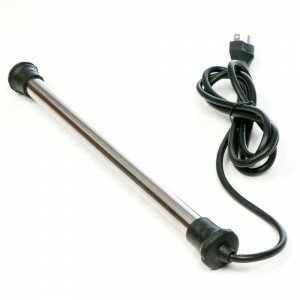 At that point, you can unplug the heater and allow the water to cool back down to a usable temperature for several days. Heating the water 10 degrees over 140 helps ensure that it remains at 140 for two or three days while cooling. There are a few considerations to keep in mind when doing this. It’s important to make your saltwater under normal conditions before super-heating it, for example make sure the water is at 1.026 s.g. and 78 degrees before turning up the heat. This is best done in a sealable container, such as a drum or 32 gallon trash can, as hot water evaporates very quickly in normal home temperatures. 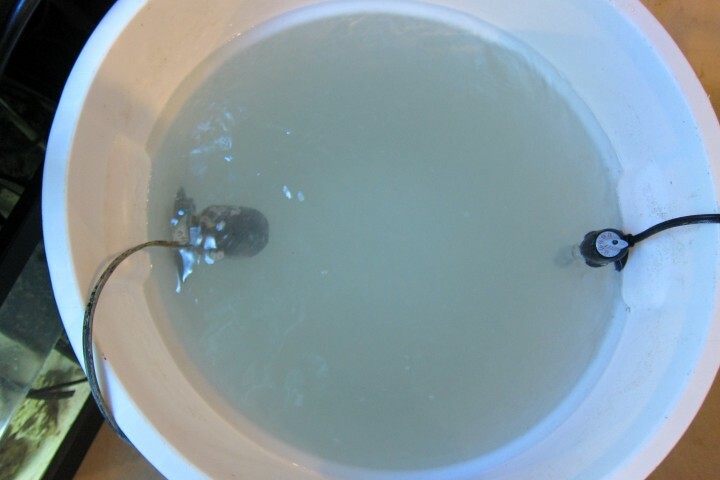 If you plan to cool the water via evaporation, by placing a fan at the surface, you may want to strive for a specific gravity of 1.024 when making it, as the evaporation may push salinity up. Remember 140 degrees is hot enough to burn you, so make sure not to place your hand in the water. Also, keep a close eye on any pumps. Most aquarium water pumps use the water to provide cooling, and at 140 degrees it’s possible they could overheat. I have never had any problems with pump performance at this temperature, but it’s worth noting. Letting it cool: Once your water has spent several days at 140 degrees, it’s time to cool it back down to more acceptable temperatures. If you have a few days to spare between water changes, it usually drops down to 78 degrees easily enough on its own. I’ve found using a fan (I prefer several C-Breeze fans by JBJ) will shave about a day off of cooling if you use one consistently. It’s very important that after the water cools to 78 degrees, you re-test salinity, pH, and other key components, including calcium, alkalinity, and magnesium. Super heating water can drastically alter the pH, dropping it to 7.5 or lower. I’ve found that upon returning to normal temperature, these variables return to acceptable levels, but it’s worth taking a close look. Final thoughts: Super heating saltwater prior to a water change may tack on several days of waiting, and a few extra steps. However, it helps to greatly reduce the chance that a parasite from the past makes a return in the display tank. Several marine parasites are quite resilient, and if the fish’s immunity to them weakens, they could make a resurgence after being transported into the tank via a water change. Super heating the water change water makes it nearly impossible that any parasite survives to infect your fish. Anyone test BPA levels before and after heating?